Hello everyone, I am so excited today, because we are going to talk about all things dealing with the tablecloth; specifically where the tablecloth originated from. Also, we are going to talk about the uses and functions of a tablecloth. First, let’s talk about the word tablecloth -over the years the spelling “tablecloth” has changed. In some places “tablecloth” was two words “table” and “cloth” then the word evolved into what we know it to be today as just one word tablecloth. The tablecloth is about 2000 thousand years old, and in the beginning was almost only made of 100% pure linen and very expensive, basically only those of great wealth and high society could own them and afford house staff to clean the linens. Tablecloths were mostly used to cover beautifully carved and ornate tables from the messy food and liquid spills. The word tablecloth just simply means a cloth to cover a table – very simple. I remember when I was a very young girl; my favorite chore was doing the laundry, especially in the spring and summer. Because in the summer I was able to hang the cloths out on the line. The best part was when it was time to bring the clothes in off the line, the smell of the fresh air on the linens was so, sooooo, good, I would have to smell every piece as I took them off the line. The sheets, towels, and linens would smell so fresh when refilling the linen closet. We had two tables in our home, the family dining table and the formal dining table, both where always covered with a tablecloth. 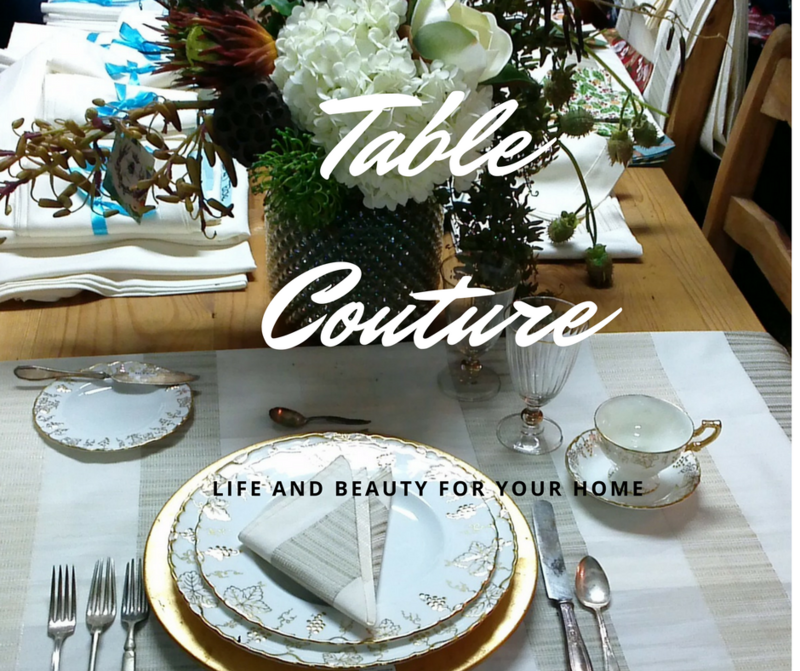 Today the tablecloth has two primary uses the first use is to cover the table and protect it and then the second use is to dress the table before setting it with china and silverware (dishes and flatware, lol), and this brings us to next week’s topic, The Beginnings of Dressing the Table. Well, this is all for today in this miniseries “The Table”, until next week everyone, Life and Beauty to your homes.